While the Yellow-throated Vireo is associated with forest edge habitat, it actually requires large blocks of forest to breed successfully. Numbers decrease sharply in forests smaller than 100 hectares (250 acres) in the northeastern United States. The Yellow-throated Vireo is typically a solitary bird on migration and during the winter. 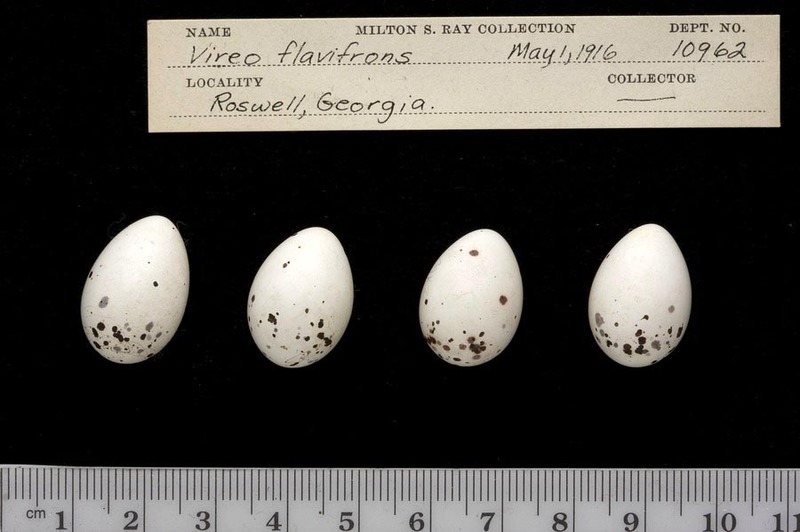 It forms only loose associations with mixed-species foraging flocks. In the summer, pairs associate only long enough to raise a brood of young. Bright yellow throat, breast, and eye spectacles. Belly and under tail white. Similar to adult, but paler yellow below and more brownish above. Breeds in a variety of edge habitats in mature deciduous and mixed deciduous forests. Forages in middle and uppers stories of forest, gleaning insects off trunks, branches and leaves. Moves slowly from place to place and searches for a relatively long time from one spot. Arthropods, some fruits and seeds. 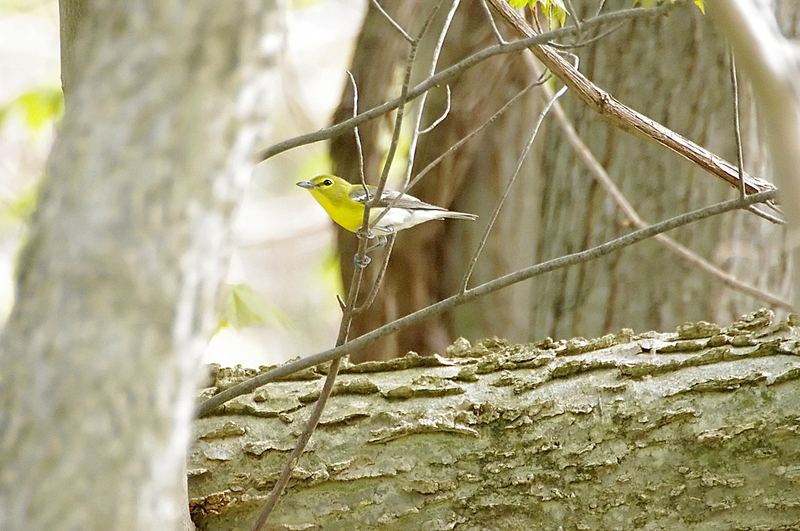 No other vireo has bright yellow throat and chest. 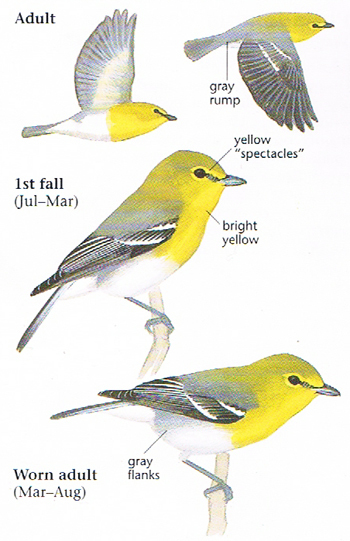 Pine Warbler has dusky streaking on yellow chest, white tail spots, and an eyeline, not spectacles. Yellow-breasted Chat lacks wingbars, has white spectacles and a longer tail. Song a broken series of burry two- and three-syllable phrases. Rodewald, P. G., and R. D. James. 1996. Yellow-throated Vireo (Vireo flavifrons). In The Birds of North America, No. 247 (A. Poole and F. Gill, eds.). The Academy of Natural Sciences, Philadelphia, PA, and The American Ornithologists' Union, Washington, D.C.